NORWALK, Conn. (AP) _ In a matter of minutes, a person who has a tendency to wander can become lost without a trace. Factor in an estimated survival rate of 50 percent for an Alzheimer’s patient missing for more than 24 hours and an even more critical time period during the winter months, recovery becomes crucial for those who suffer from Alzheimer’s, autism and other related cognitive conditions and disorders. With that in mind, the Norwalk Police Department has implemented the national program, Project Lifesaver, in an effort to bring those who become lost to safety. Those enrolled in the program can be located through transmitters worn on their wrists or ankles. 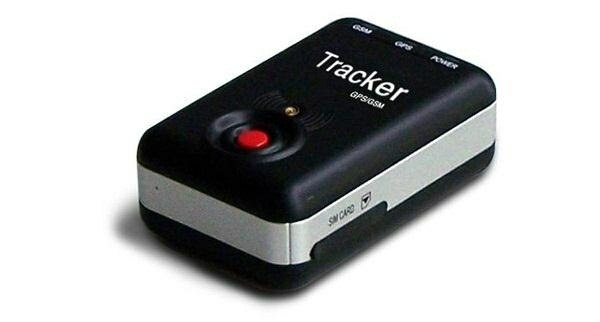 If they pass a certain perimeter, a GPS signal notifies Project Lifesaver and the Norwalk police and a radio frequency is then used to track the person’s specific signal to quickly locate them. In an effort to test out the technology, this reporter agreed to be outfitted with the tracking device _ a bracelet with a battery-powered transmitter weighing about an ounce _ and was sent off into the area surrounding Mathews Park for a mock recovery. After walking past the grounds of the Lockwood Mathews Mansion and Stepping Stones, this reporter wandered off into the far corners of Pine Island Cemetery and waited out of sight under the shade of a large tree. Within 10 minutes, Gulino and Officer Kelly Hollister located my whereabouts. As soon as this reporter was “missing,” Gulino said Hollister began doing a slow “sweep” with a receiver, which allowed her to ascertain the general direction of my transmitter. Gulino and Hollister scanned the area, sweeping the receiver slowly from left to right, which emits different levels of noise and pitch depending on the strength of the signal, helped the officers figure out the exact area this reporter was in. Gulino said officers then assess how long the person has been missing to determine where to begin their search. If the person has been missing for some time and gone beyond the one-mile radius, Gulino said the officers begin a search pattern that extends mile by mile beyond the last known point the person was seen. Gulino said the program recently signed up its first client and is actively pursuing others to join. In the coming weeks, Gulino said she plans to present the program to various senior agencies in Norwalk to spread awareness. The Norwalk police department was awarded a grant for equipment and training to take part in the program. The initial cost for the bracelet, transmitter and battery is $300, with donations currently being accepted to assist families that cannot afford the program. Officers trained in the program will then visit those enrolled on a monthly basis to check on the device and maintain relationships with them.